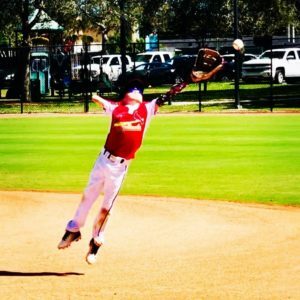 Tommy Morrissey from Palm Beach Gardens, Florida, definitely isn’t your typical eight-year-old. For starters, the little boy has displayed an incredible aptitude for sports the majority of his life. 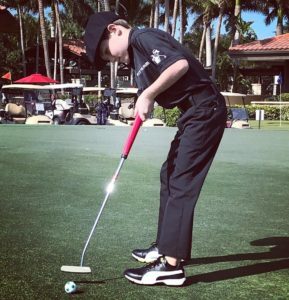 When he was just three years old, Tommy was deemed a golf prodigy and even appeared on “The Ellen DeGeneres Show” and Fox Sports with Tiger Woods. But this kid is no one-trick pony. The little athlete is also a gifted baseball player. Oh, and did we mention he has only one arm? Tommy was born missing most of his right arm, but it has done absolutely nothing to hold him back. He’s known to his fans as the one-arm golfer, though perhaps we should just call him the one-arm star. Making headlines for his athletic prowess is nothing new to Tommy these days. 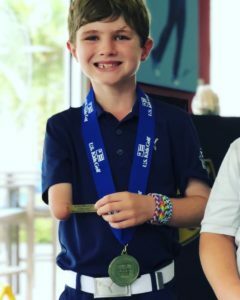 He consistently proves you don’t need two arms to play sports. 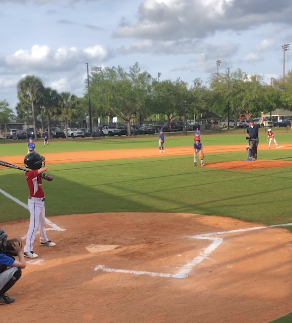 Just take a look at one of his recent baseball games, during which he nailed a grand slam. 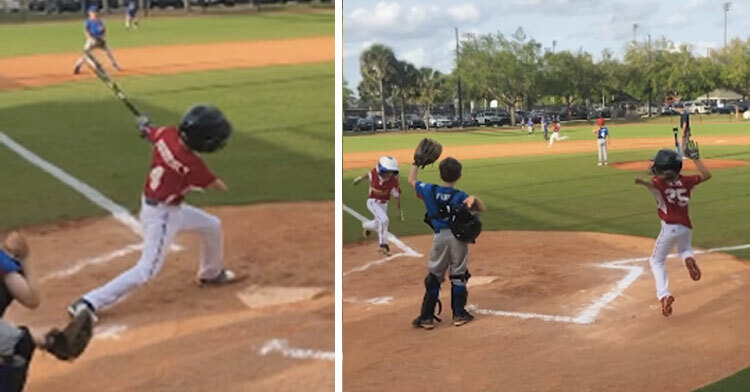 All the bases were loaded on March 13 in the Palm Beach Gardens Florida Youth Athletic Association Little League. Tommy held the bat firmly as he waited for the pitch… then knocked that ball into the air like a pro! Tommy and his teammates sprinted around the diamond as players from the other team scrambled to pick up the ball. 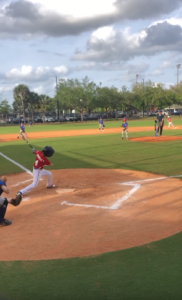 The crowd yelled words of encouragement and cheered the little boy on as he touched each base. For a second, it appeared as if one player from the other team might tag him out. But he was too slow and Tommy reached the plate! 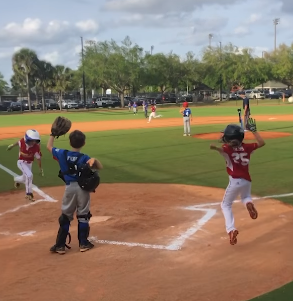 His dad, Joe, could be seen adorably jumping for joy on third base. What an inspiration! Tommy is a shining example of the fact that we’re all capable of so much more than we think, disabilities or not. The future is very, very bright for this talented boy. Watch as the one-armed wonder scores for his team in the video below, and share with anyone who needs motivation.